On 1st of December, 2006, the Hon. Supreme Court of the United States amended the Federal Rules of Civil Procedure. The concept of E-Discovery was born and it led to a sudden and huge requirement for digitizing, archiving, filtering and reviewing files pertaining to litigation throughout the US and its territories. Legal firms and lawyers suddenly found that they were either grossly understaffed or underfunded to carry out such a large scale operation. Almost inevitably, the legal community immediately looked east in unison. Some amount of legal work was already being outsourced to destinations like India, Israel and Canada by certain law firms. However, E-Discovery turned the trickle into a veritable flood. Soon, the outsourcing landscape, especially the one in India, would be dotted by Legal Process Outsourcing or LPO firms. In the next three years, Legal Process Outsourcing to India would increase by as much as 60% (Washington Post, May 11, 2008). Indian and American law share a common ancestor- the British. While, for America, it was more the European settlers adopting Western ideals of justice into their Constitution; for India, the journey towards adopting the British common law was slightly different. In India, multiple and arbitrary systems existed before the British first appeared on the scene. Depending on the religious color of the ruling class and their religious fervor, Indian princely states alternated between Hindu Manuvadi legal practices and the Islamic Sharia. There were still others who had a system which was a heady mix of both, and often similar to Western ideals of justice. While colonizing the subcontinent, the British enforced British law on territories occupied by it while, barring a few nominally independent princely states, gradually westernized rulers (almost all Indian royals travelled to England to study) brought their laws closer to the British legal system. The result- India has since followed the British common law just like the US and shares the same legal tenets. The Indian judicial system also gives maximum credence to the concept of stare decisis, which is the practice of establishing and following precedence. Another important facet, for which we can hold the British thoroughly responsible and which helps India corner more than 50 % of not just legal, but all services outsourced (Price Waterhouse Coopers- India as a destination for outsourcing services) is the English language. For English is not just the language of the American judicial system, but also of global business. Below is a chart showing India’s dominance in the services outsourcing industry. It is India’s grasp over the English language that has made it THE DESTINATION for companies looking to outsource, especially in the legal sector where a strong grasp over the language is essential. Officially, even though only a fraction of the Indian population is conversant in English, thanks to its massive size, it still has the second largest English speaking population in the world, second only to the United States. Further, India has over a hundred quality law colleges, churning out hundreds of thousands of trained legal minds every year. Due to the huge gap in the living costs and average income of the two countries, what seems like ridiculously cheap to an American law firm are actually decent amounts for an Indian law graduate, and a much more lucrative career choice than the decade or so of struggle to find their footing in the legal profession in India, especially if one does not have the proper “connections” and “channels”. Most budding lawyers spent more than a decade literally hawking themselves from makeshift offices on or near court premises, trying to attract clientele. The scenes outside many provincial courthouses in India resemble a bazaar, with young lawyers desperately trying to attract the attention for prospective clients. Imagine a hundred Bruisers from Grisham’s Rainmaker trying to jostle against one another! Now compare this to a life in an air conditioned room, in plush offices and a steady and comfortable salary- the choice sometimes is truly an illusion. This scenario ensures that hundreds of fresh graduates seek to join LPOs, thus creating a healthy competition and keeping standards extremely high. This is a luxury only countries like India can have, thanks to its massive half a billion workforce. In pretty much every sphere, it has intense competition since supply is always more than the demand. This is what makes outsourcing here such a success story. So, are we going to outsource justice too now? That’s actually not my creation. I came across this on the Internet. There is an argument building that outsourcing legal services to offshore locations is perhaps ethically wrong, and that if there is a line that needs to be drawn on offshoring, this is it. The perception has also gained momentum due to the fact that the phenomenal growth of LPOs coincided with economic downturn in the US, which pretty much forced law firms and lawyers to seek cheaper resources, often at the expense of existing ones. Secondly, there is always a concern about protection of a client’s data. However, as the rapid and continuing proliferation of the practice of outsourcing legal work shows, the legal community is not prepared to give credence to this. And for good reason too. We can all agree that when it comes to being cautious, lawyers are right up there. It’s part of their DNA. And yet, they seem to be pretty happy allowing work and data to flow out to a third party overseas vendor! Why? ‘Cause the picture isn’t what it’s being touted as. Take the case of India. It has been an established and secure home to offshore centers for a quarter of a century now. In terms of data management and security, these Indian firms are some of the strictest in the world. 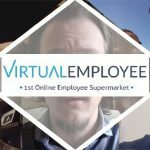 I can give you the example of Virtual Employee for instance, which deals in not just legal outsourcing but more than 150 domains ranging from PHP development to CAD Design and everything in between. A robust data management and security system is not just a value proposition that we can present before our clients to win business. It’s a business necessity. One of the mandatory requirements to work with us is to sign an airtight Non-Disclosure and data security agreement. Without signing it, it does not matter how good you are- you aren’t getting near the work floor! Without the very best data security in place, we as an organization won’t be able to function, since we have been dealing with high value IT/ITES projects far longer than legal processes. And most Indian firms are this strict. Firms had paperless environments back in the early 2000s in India to protect sensitive information from being leaked! And it is this track record that has convinced western legal minds to share their data with Indian companies. Secondly, it is important to understand what is being outsourced to India and other offshore destinations. Roughly 90 percent of a lawyer’s work is legal research and drafting. This is the component that gets outsourced, freeing up the lawyer or law firm to take on more cases and be better prepared for trials. It also brings down legal costs drastically, making legal representation more accessible to everyone. If the question of ethics must arise, this point must be considered, since a more egalitarian system, created not through subsidies or special funding, but through a natural process of free market economics, is surely more sustainable and believable in the long run.